If you live for mobile gaming, the Motorola Moto Gamepad may be the accessory you need to take your gameplay to the next level. 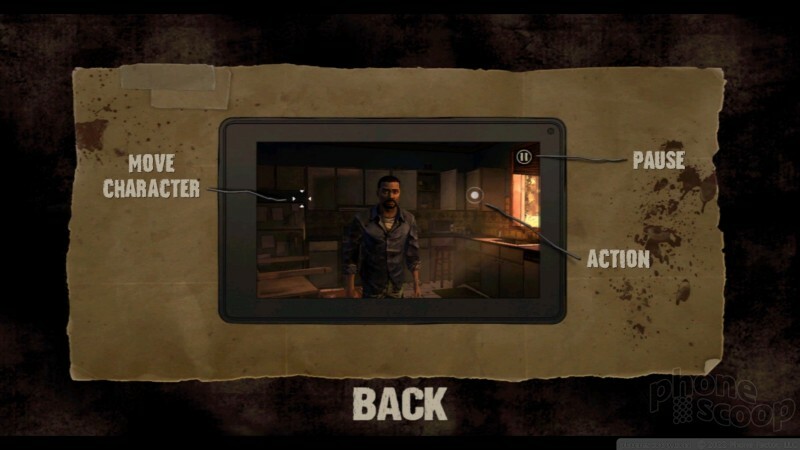 It includes a full roster of buttons, joysticks, and toggles in order to take full control of the mobile gaming experience. 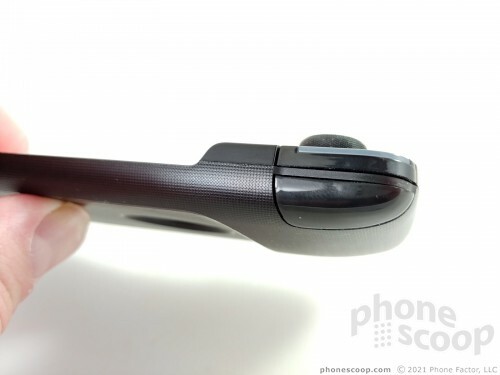 Here is Phone Scoop's review. Games for smartphones and tablets generated more than $37 billion sales in 2016 and are on track to surpass $40 billion this year. Every time I ride the subway I see a dozen people passing their commutes with Plants vs. Zombies, Fruit Ninja, Clash of Clans, and myriad other titles. Heck, my own kids see their devices more as gaming machines than communications tools. While the vast majority of smartphones games run perfectly well using on-screen touch controls, some can benefit from dedicated hardware to provide more fine-tuned control over movements and other actions. Moto Mods are a great way to enhance your Moto Z series smartphone. The Moto Z2 Play and Z2 Force are powerful handsets that accept a wide range of modular accessories. 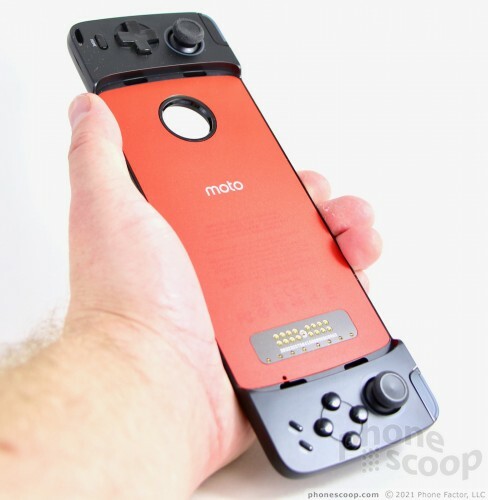 The Moto Gamepad is one of the newest Mods. 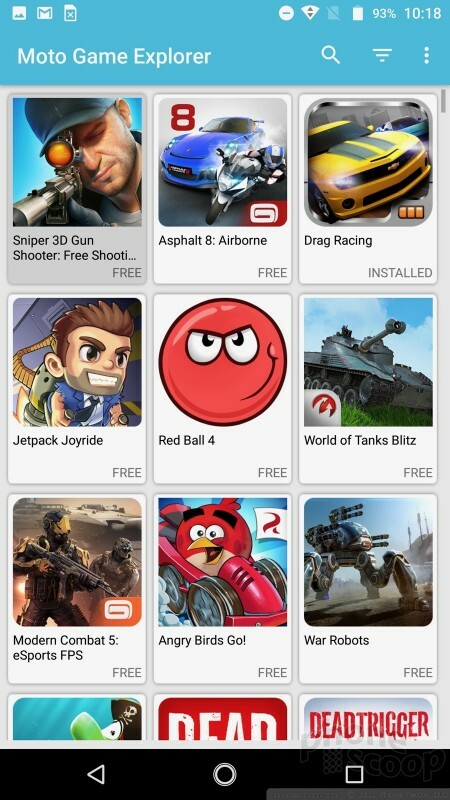 It brings the familiar controls of console gaming to your smartphone. Is it worth the hefty investment? Game on! I hope you have some room in your bag. 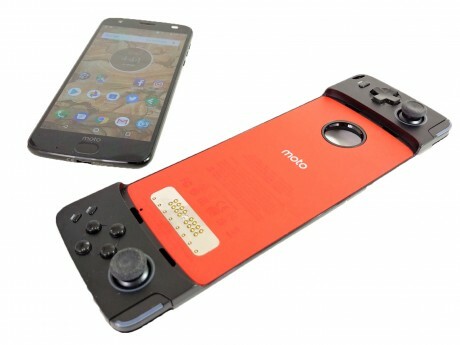 The Moto Gamepad is by far the biggest modular accessory for your Moto Z handset. It's a huge slab of plastic that's almost the size of a WWII-era field radio. 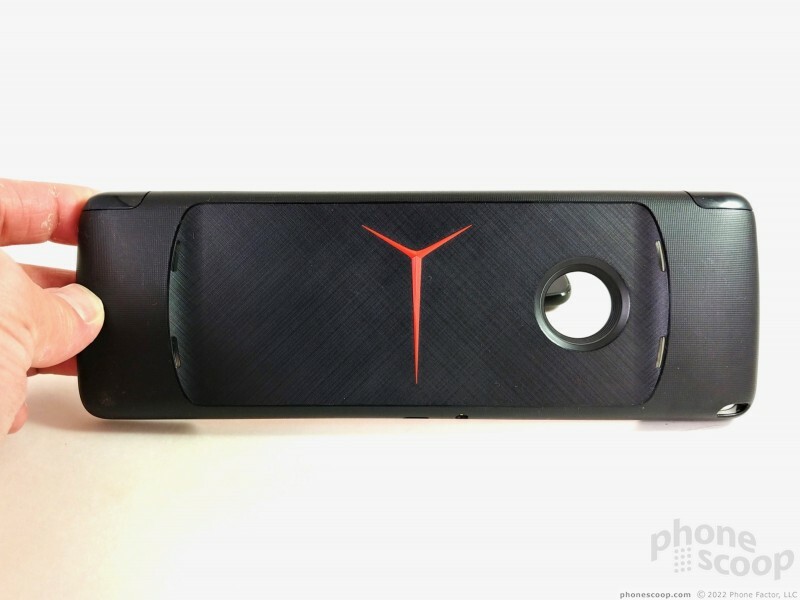 It measures 9 inches long by 3 inches wide, and about 1 inch thick where the joysticks are. I like the basic design of the Gamepad. The majority of the hardware is black plastic. Red accents here and there give it some visual pop. The back side of the Gamepad has flared fingerpad ledges so your fingers can grip it. The plastic has a fine, dimpled pattern on the fingerpad area. 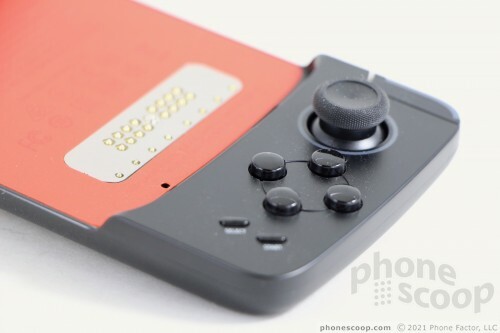 You'll note four small holes on the back of the Gamepad. These are to allow wireless signals to pass through a bit more easily. As for the controls, the Gamepad has it all. 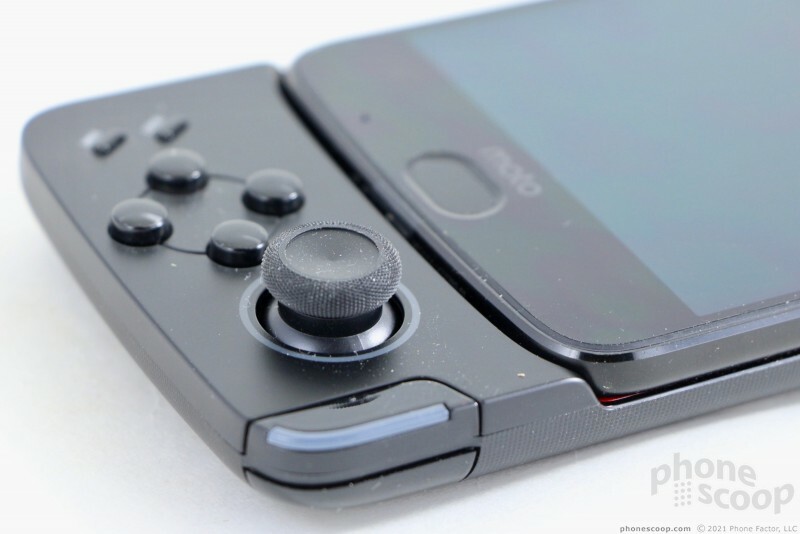 On the left you'll find a joystick, 4-way directional button, and home key. On the right you'll see another joystick, A/B/X/Y buttons, as well as select and start keys. The Gamepad even includes L1/R1/L2/R2 keys on the top edge of the controller for firing triggers. I'm pleased with the quality of the controls. 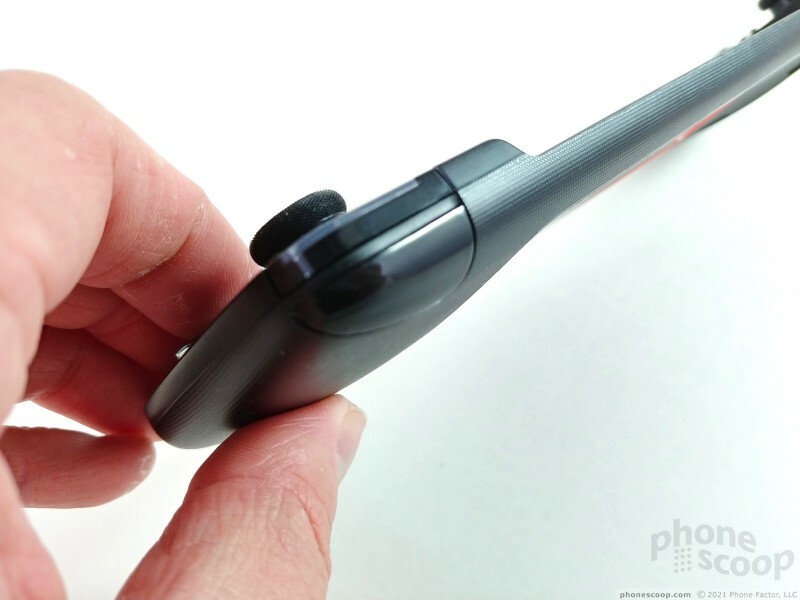 The joysticks have a really nice feel to them and move fluidly in all directions. The d-pad on the left has a distinct shape, and action and feedback of the directionals are excellent. The same is true for the A/B/X/Y buttons on the right. 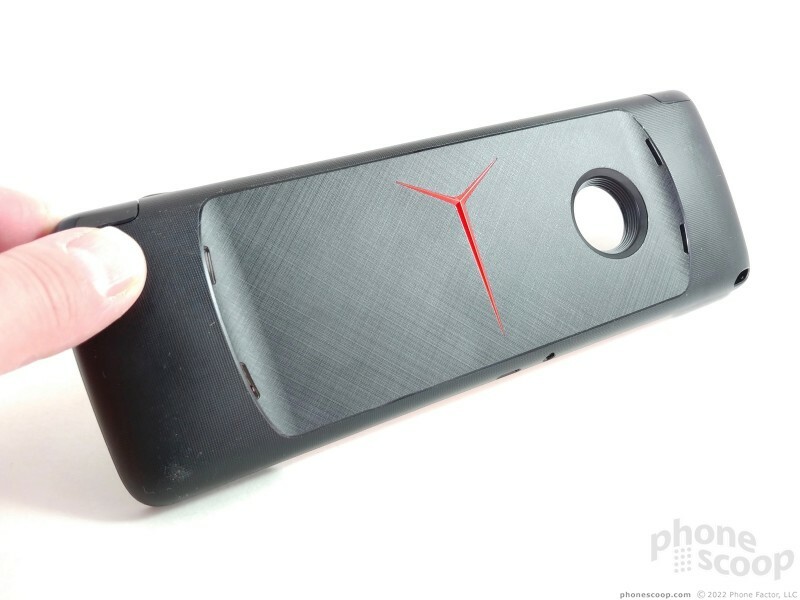 Motorola gave them huge profiles that makes them really easy to find and use. The start and select buttons are rather small and hard to find in a hurry. The L/R buttons on the top edge aren't as good. The L1 and L2 buttons (which light up when charging) are fine, but the L2 and R2 keys, located along the lower side of the top edge, are hard to find and use. 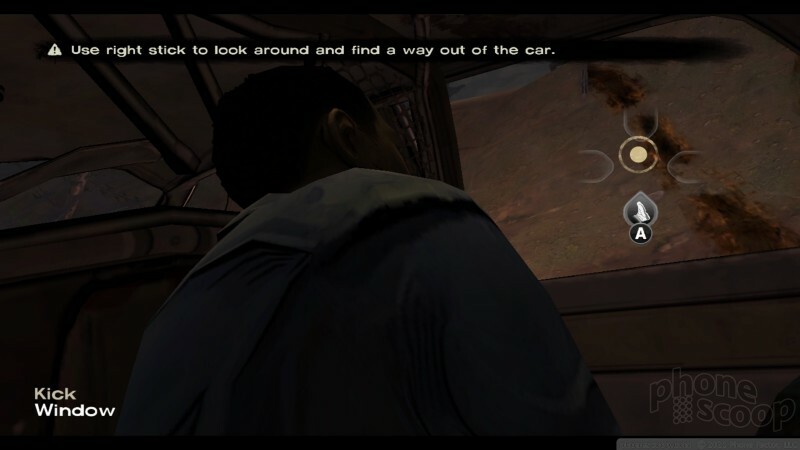 In fact, I almost dropped the Gamepad when trying to use the L2/R2 keys. 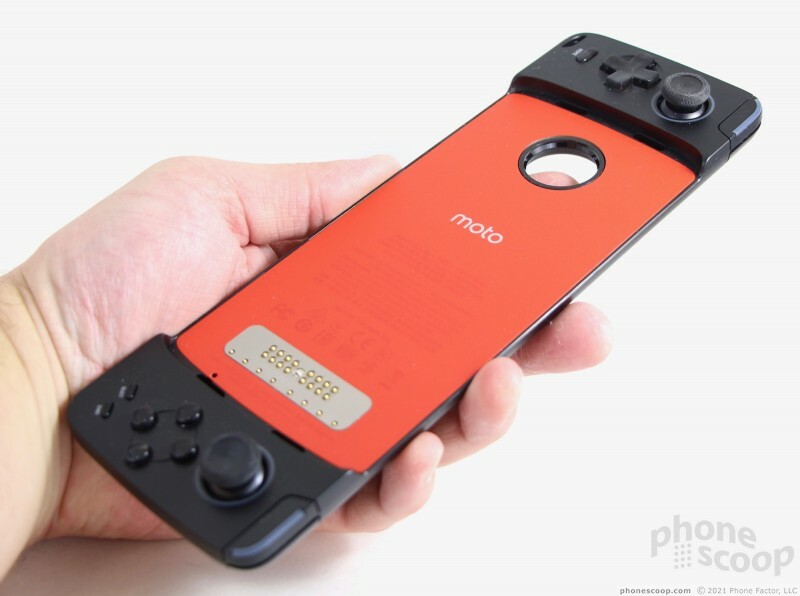 Like all Moto Mods, the Gamepad attaches to your Moto Z magnetically. 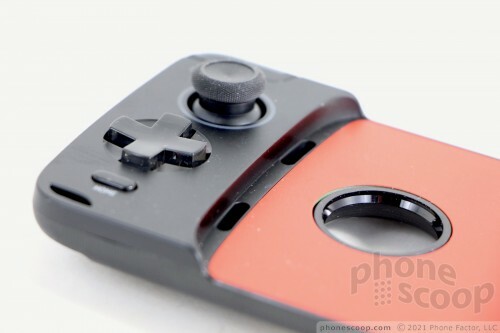 The metallic mod connector is positioned on the right side of the Gamepad and the large cutout for the camera is on the left. The Gamepad almost resembles a toboggan or sled, and your Moto Z has the one and only seat. 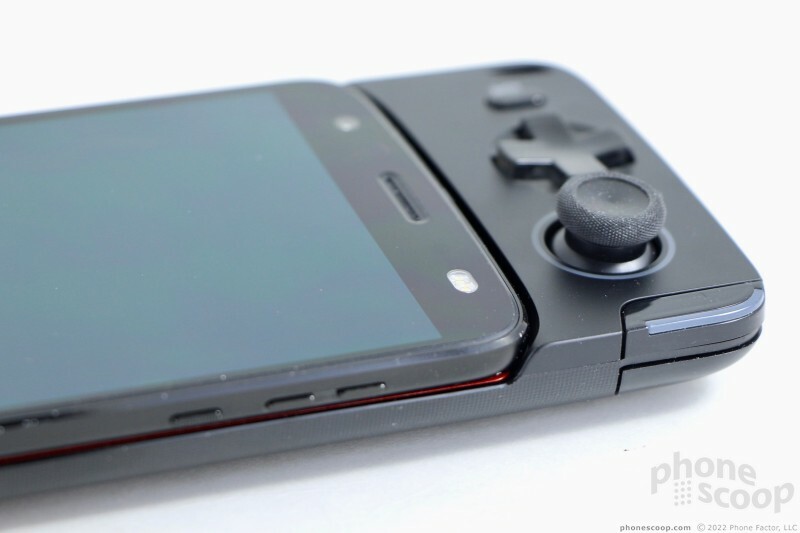 The phone sits almost flush with the sides of the Gamepad, but not quite. 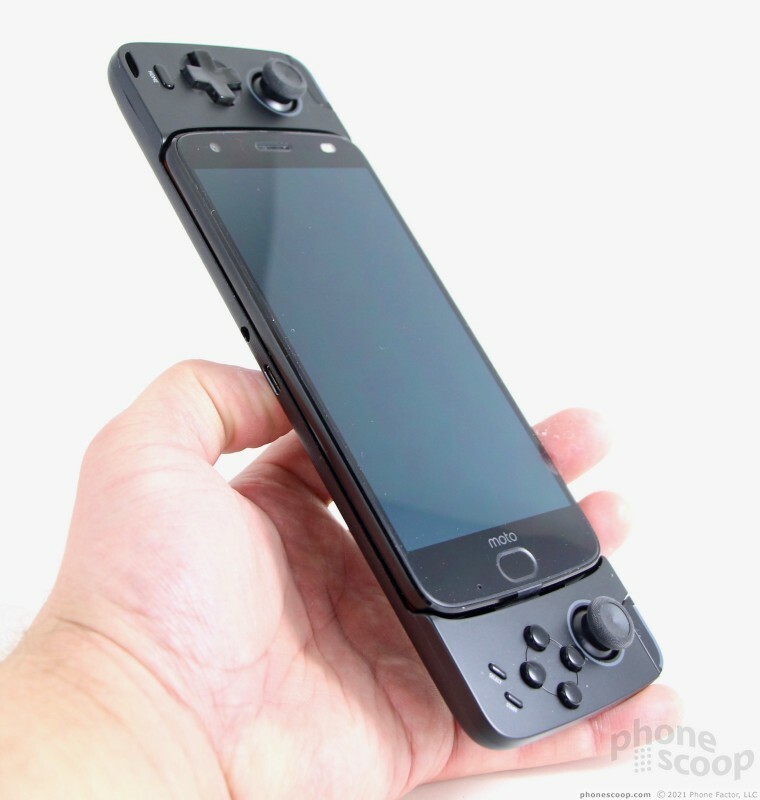 You can hold the Gamepad upside down and shake it vigorously without fear of the handset coming loose. 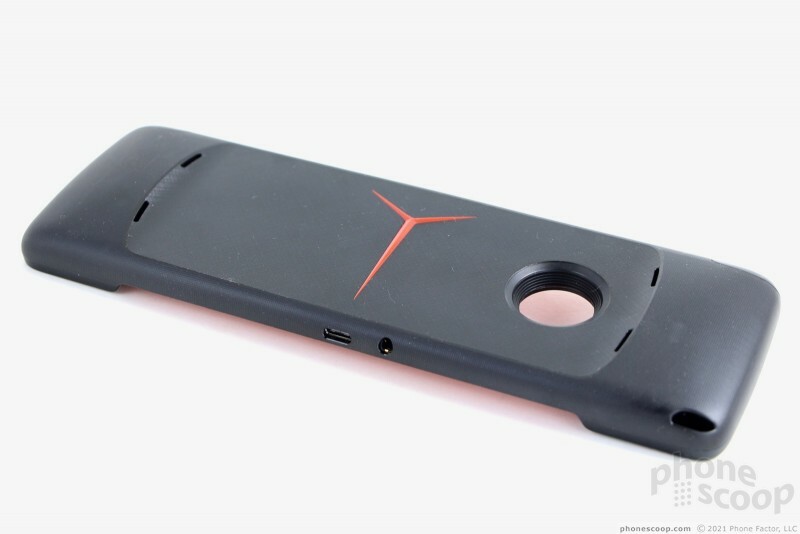 The Gamepad includes its own headset jack and USB-C port on the bottom edge. Last, the lower-left corner features a loop for lanyards. 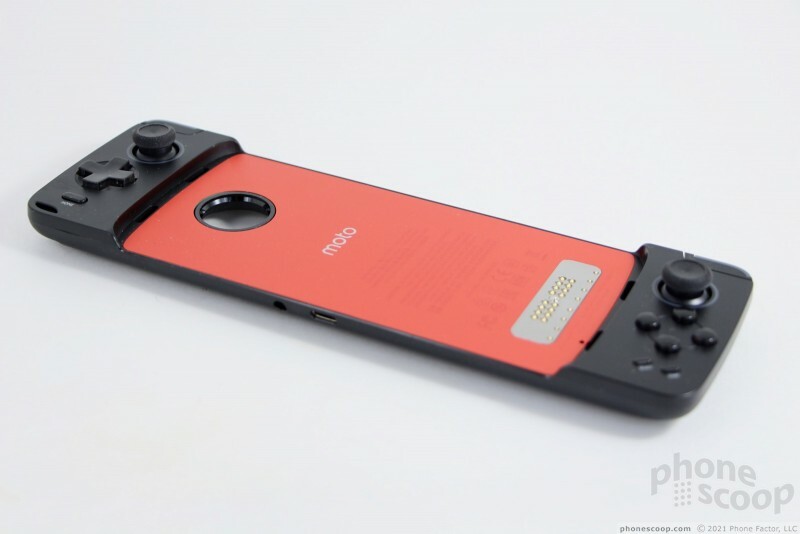 The combined Moto Z-Gamepad entity is a bit heavy at 10.25 ounces. I found my hands tired of using it after about an hour. 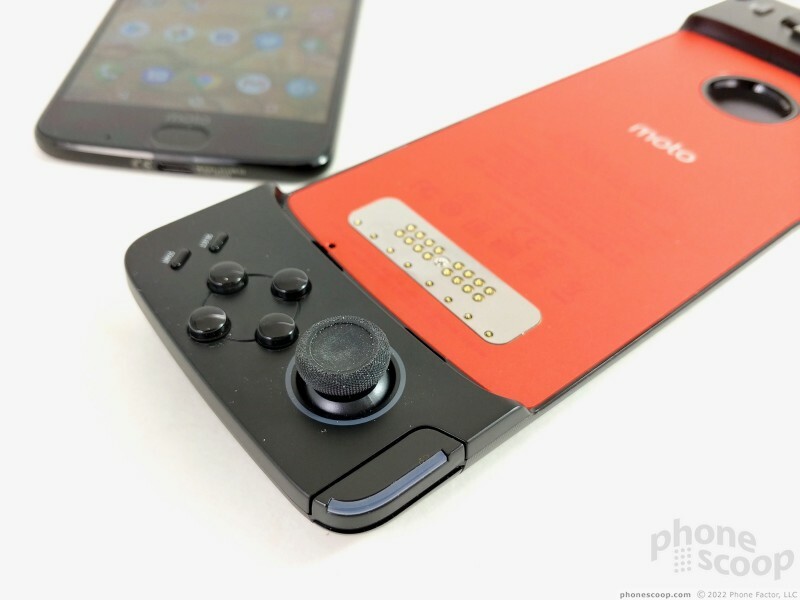 Unlike some Moto Mods, you won't want to leave the Gamepad attached. 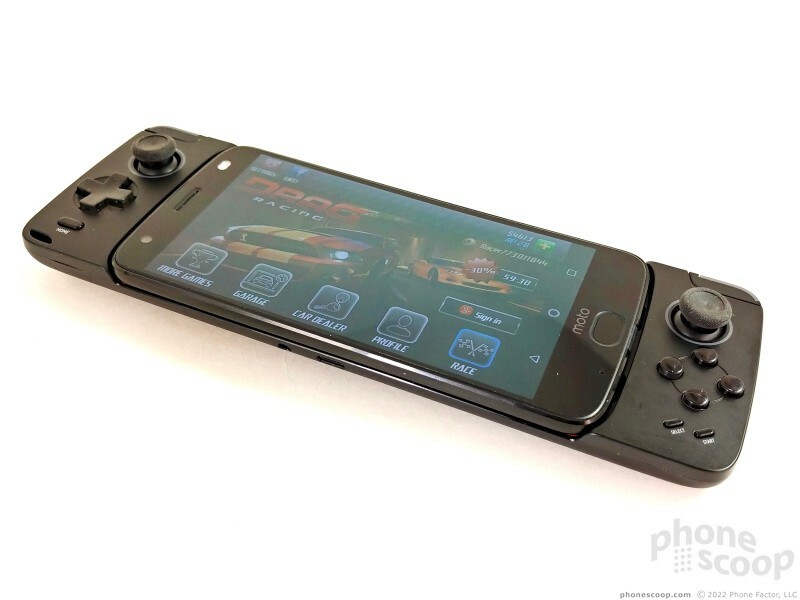 Though the phone's controls are all easily accessible when the mod is attached, it's simply ridiculous and awkward for anything but active gaming. 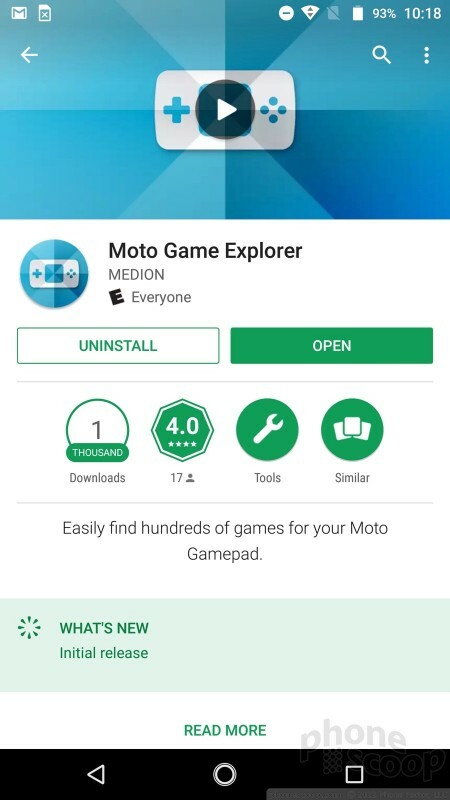 The Gamepad Mod includes an app called Moto Game Explorer. Essentially, Motorola combed through the Google Play Store for all the apps that support controllers and put them in a single spot. 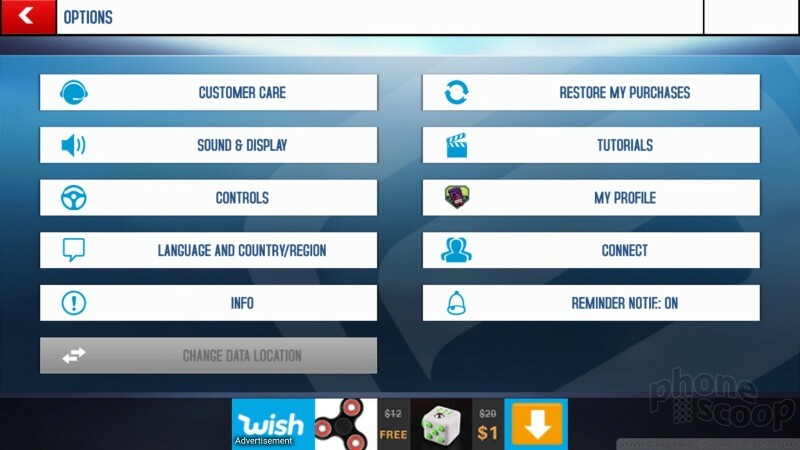 This really helps find compatible content for the Gamepad. I do wish you could download games directly from the Moto Game Explorer. 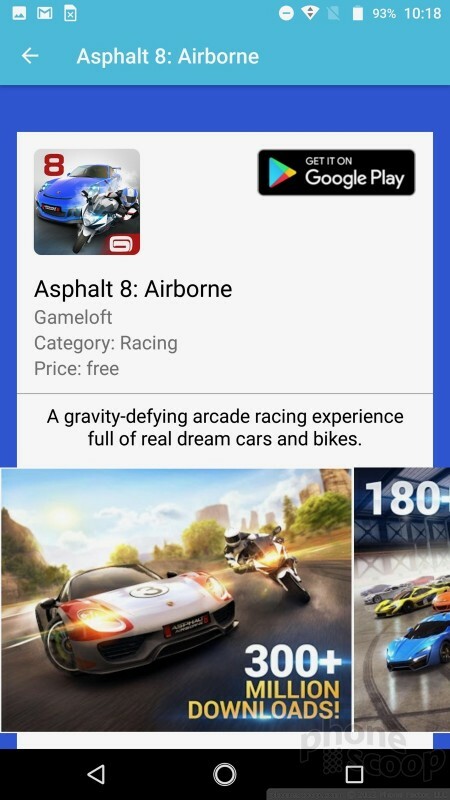 Instead, you have to click through to the Play Store. It's not a huge inconvenience, but still. The selection is much better than I expected. You'll see lots of driving games, first-person shooters, and so on. Even so, a lot of the most popular games simply aren't supported. Many of them are locked into the portrait (normal) orientation and aren't meant for landscape gameplay. 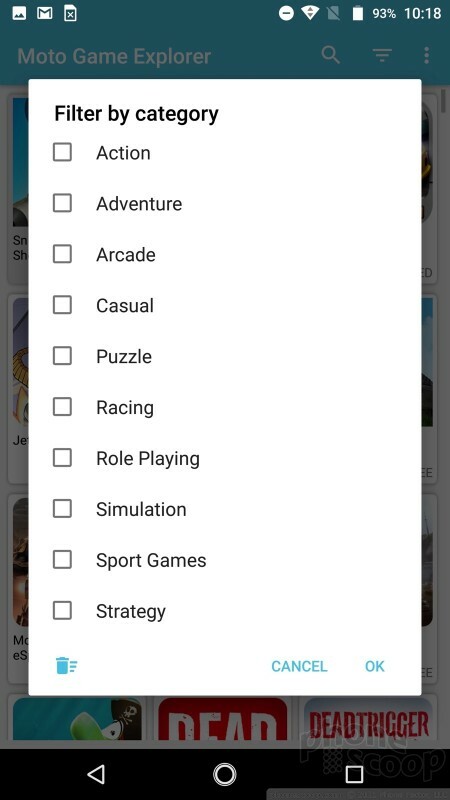 That means no Subway Surfers or Temple Run, and the like. Your mileage is going to vary a bit. To start, plenty of games support controllers via Bluetooth. I've used these, and gameplay can sometimes suffer from lag. With the Moto Gamepad, there is no lag; none whatsoever. That's great news. It means you won't miss a turn on that difficult racing circuit, or a killshot. 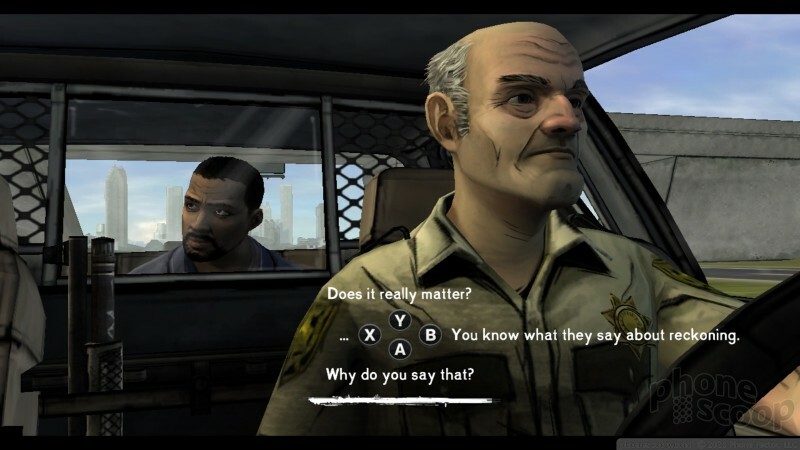 The uneven experience is mainly driven by individual games. 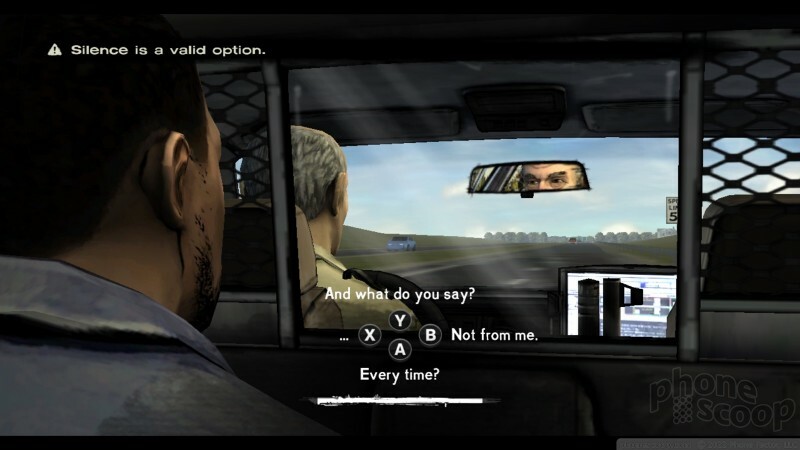 For example, one racing game allowed me to use the joystick to manage steering and this worked out really well. Another, however, wanted me to use the phone's accelerometer and tilt the whole contraption all over the place. 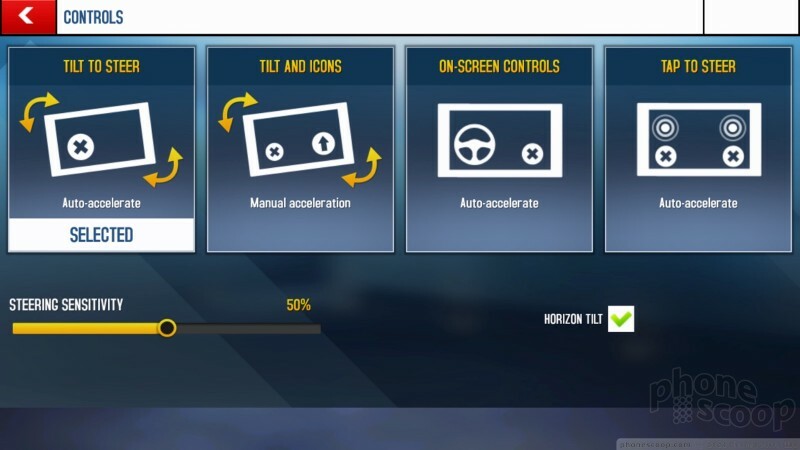 Similarly, some racing games placed brake and acceleration controls on the screen, while others allowed me to use the A/B/X/Y buttons to brake, accelerate, hit the booster and so on. To be fair, gaming consoles offer some of these same headaches. 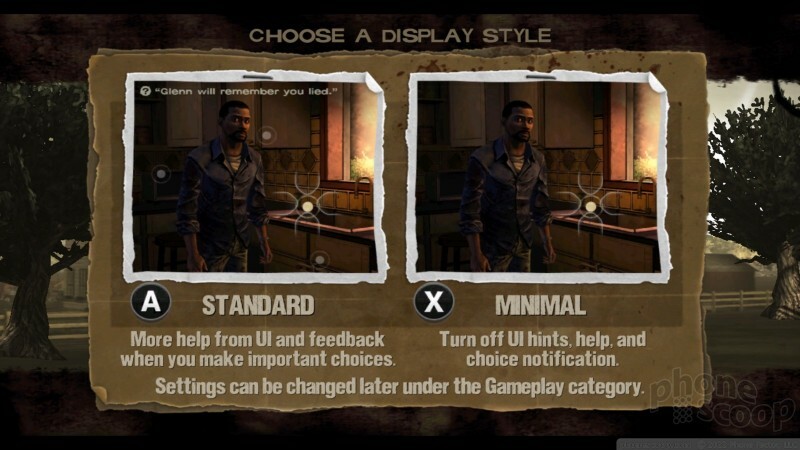 Even so, I wish the controls were somewhat more consistent from game to game. One thing that really bugs me is the power situation. The Gamepad has its own 1,035 mAh battery. 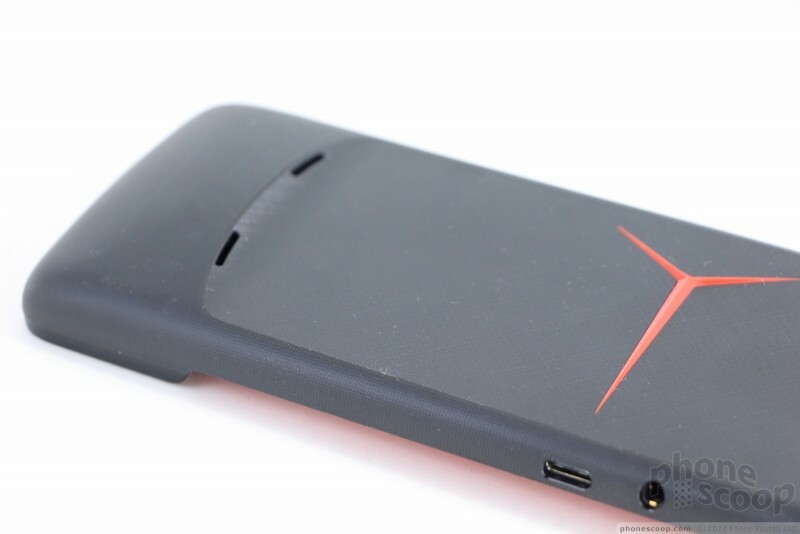 It supports up to 8 hours of gaming on a single charge. That's great, as it easily delivers enough up-time for a cross-country flight. In my tests, the controller does indeed provide the advertised battery life. What gets on my nerves is that the phone and Gamepad can't share power resources. In other words, neither the phone nor the Gamepad can draw power from the other; you have to remember to charge them both. 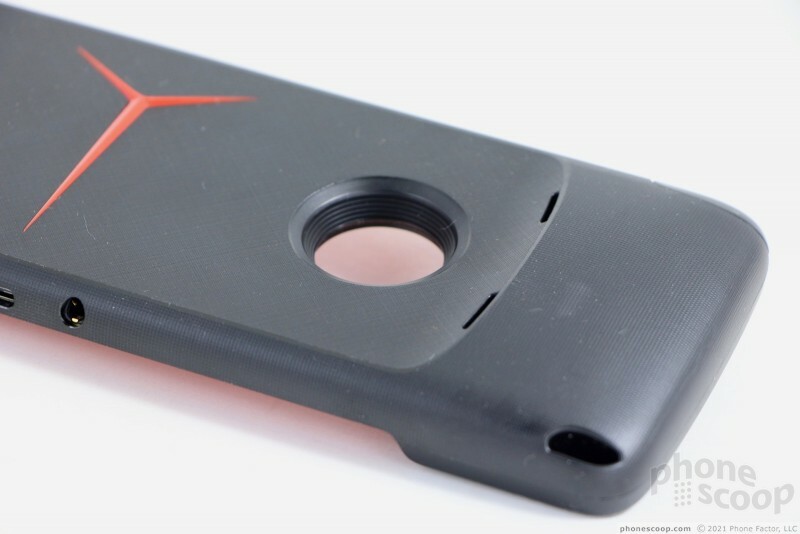 You can charge your Moto X through the Gamepad when it is attached, but that's it. Worse, using either the Moto Z2 Play or Moto Z2 Force for gaming with the Gamepad seemed to drain the battery at an amazing rate. It would be really great if either the Gamepad or phone could draw some power from the other when running low. It doesn't take to long to charge the Gamepad. 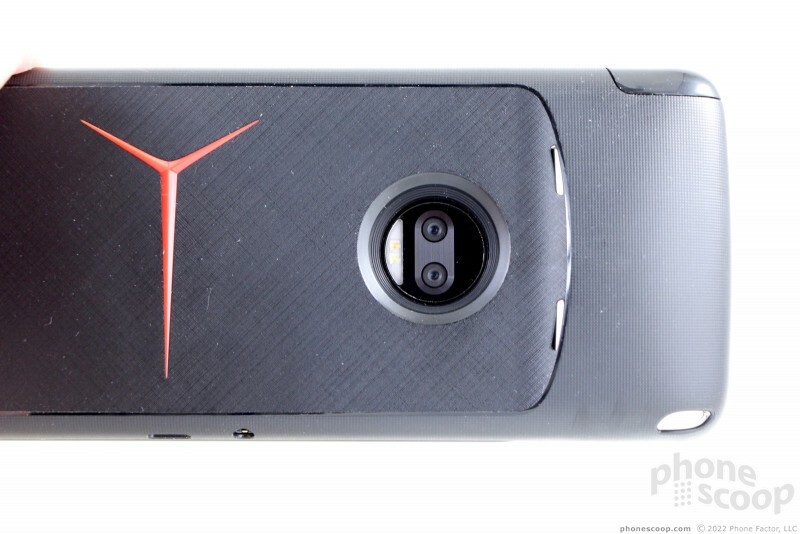 Motorola and its partners, including Best Buy and Verizon, sell the Moto Gamepad for $80. That's more than you'd pay for a spare PlayStation or Xbox controller for your console at home. If you're lucky, maybe you'll stumble into a promo deal and get it for a lot less. 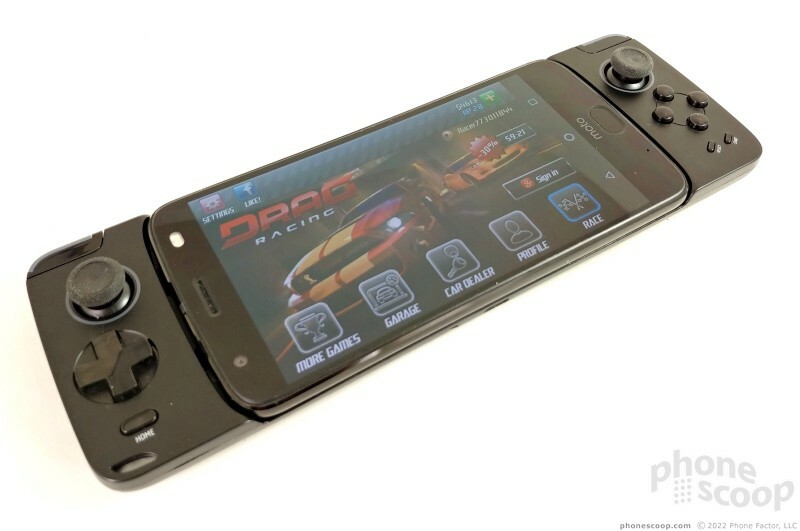 I like the overall concept of the Gamepad, and I think it does what Motorola advertises. 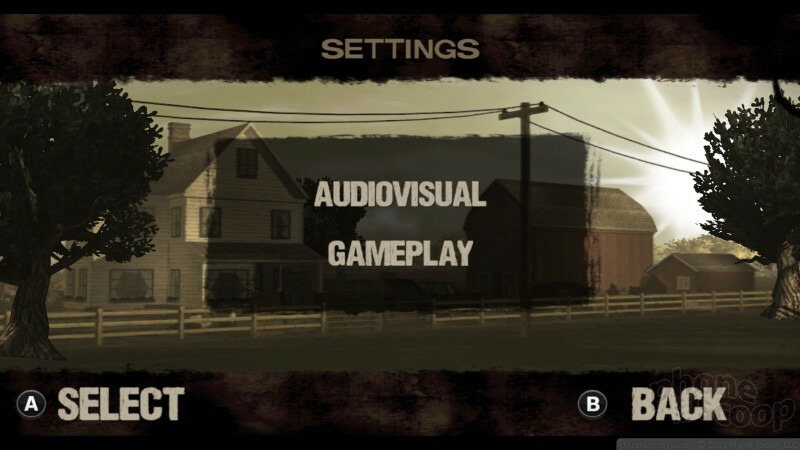 It brings hardware controls to games that demand the added buttons for better gameplay. The hardware is well made and has just about every feature you might wish for. Is this a great purchase for casual gamers? No, not at all. It's big, pricey, and you have to remember to charge it. 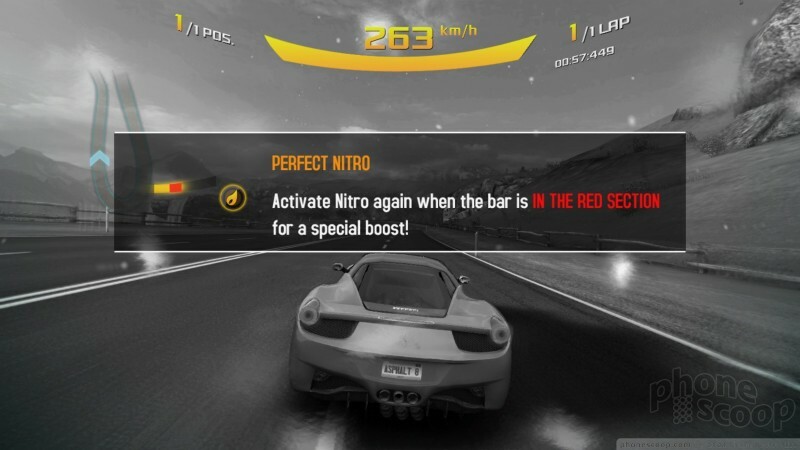 But for those who revel in racing, flying, FPS, and other action games, it can be the difference between life and death, one level and the next, thanks to the speedy response of the controller.